A collection of links to some insurance companies that specialize in collector car coverage. 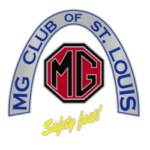 The MG Club of St. Louis does not endorse or recommend any of these entitites we’re simply providing informational links. As with using any business or service, please do your own due diligence and reference checking. From Classic Cars to Muscle Cars, We’ve Got You Covered. Often referred to as works of art, antique cars, classic cars, street rods and milestone collector cars can command prices as high as famous works of art. And like famous works of art, they tend to increase in value. Grundy Worldwide recognizes that as a collector you take great pride in protecting your investment and we honor our customers with low rates and the optimum protection every day. Whether you’re new to us or an old friend, we invite you to see why we’re the world’s largest insurer of specialty automobiles. We know this industry. We know these cars. And best of all, we know you. We know this isn’t just a car to you. It’s your time machine, your memory scrapbook, it’s your hobby, your passion, your refuge, your joy. And nobody else cares for your car like your friends at JC Taylor.